American history is muddied: Soiled by building its foundations on the back of black slavery. Despite this, the USA still faces these problems, it can be seen in so many different ways. Just look around you and you’ll probably find something which displays the racial divide. It is important for cinema to keep unearthing truths. Whether they are packaged in a fictional story or based on real events, film can be a quaking art form that excavates these emotions and issues. Mudbound is one of those films. Based on a book by Hillary Jordan, Mudbound is an interweaving story of two families on a rural farm deep in South America during World War II. The white McAllens own a farm where city-bred wife Laura marries the quiet Henry but is drawn to the charms of his brother James, who heads to the war as a fighter pilot. Renting a home on their farm are the Jacksons, with father and mother Hap and Florence also seeing their eldest son, Ronsel, head off to do his duty. When the two men return, they start an illicit friendship in a town filled with racism, familial troubles, and poverty. Director Dee Rees’ stunning historical drama is a break-taking and emotional depiction of the tensions and sheer violence that America is rooted in. 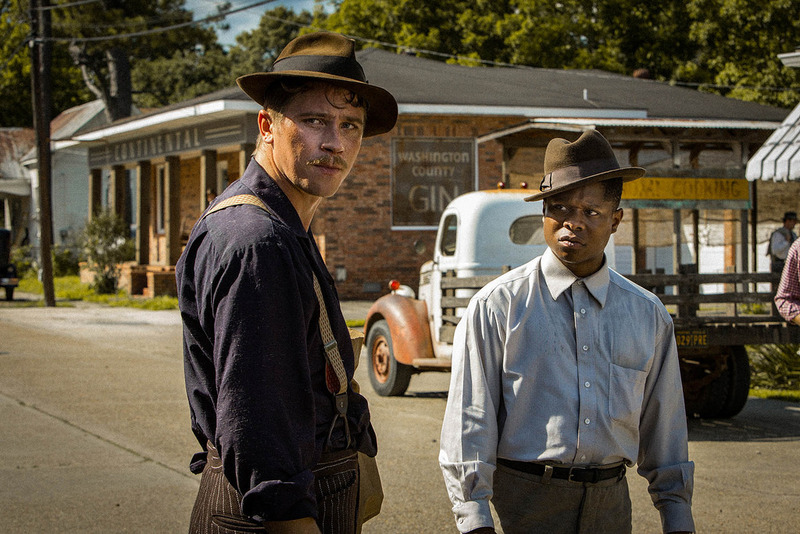 In it’s sheer honesty, Mudbound is a complex and pulsating piece of high-emotions, brooding underneath politeness and community. Rees showcases resilience playing opposition to ignorance, manners in place of wrath, and heated thoughts bubble until it’s cracked and bloody finale. The weight of the events within the movie are shocking and Rees wields it with an engrossing gravitas. The choice to have each character (bar the villainous Pappy) narrate elements of aptly showcases the inner-turmoil of each of the roles. It also gives us some impressive performances. This is top tier acting from all involved. Carey Mulligan, Jason Clarke, and Garrett Hedlund are almighty in their standing as the McAllens. It is, however, Jason Mitchell as Ronsel and Mary J. Blige as Florence who excel. To properly explain this, the latter has a scene where you cannot even see her eyes and yet conveys the weight of a grieved and rage mother so phenomenally. Blige is breathtaking here. Mitchell has a task of playing a man at war who finds solace abroad but comes home to be brutalised and victimised by a backwards community. As Ronsell, Mitchell is impeccable, making him a ferocious actor to keep an eye on. There is a lot of discussion about video on demand verses Hollywood studios. The landscape of films is shifting and changing, with more people gravitating to their own home set-up instead of venturing out to cinemas. Instead of using up the review of this really visceral and important movie to discuss why both VOD and cinema is fantastic, it’s important to note that something as impacting as Dee Rees Mudbound would not have an audience as big as what is available nor would it have the artistic freedom as it does in the hands of Netflix. Beyond Netflix giving this film a platform, director Rees has produced a quaking and triumphant film that is steeped in the mud of history and the unbreakable spirit of man. A must-see film. It is also availabe in limited cinemas! Previous PostJim and Andy: The Great Beyond – ReviewNext PostThe Incredibles 2 – Trailer & Clips!